A sixteen day itenary around Thailand that won’t leave you (almost) any time to be lazy. My travelling style always avoided staying at a single location for longer than necessary. This itenary won’t let you stay by the pool side for long, but in return you’ll come back home with lots of memories! This is going to be a weird one. It’s not about packing your bags and sorting out your tickets. It’s about getting familiar with the world you are about to visit. We’re going to Thailand, right? Are we taking a pair of swimming shorts, sunscreen, some camera lenses, a laptop, a phone and all the usual objects we can’t live without (sigh…)? Yes, that’s right, but there is one more thing I always try to do before leaving my home and that is getting familiar with the culture and history of my destination. 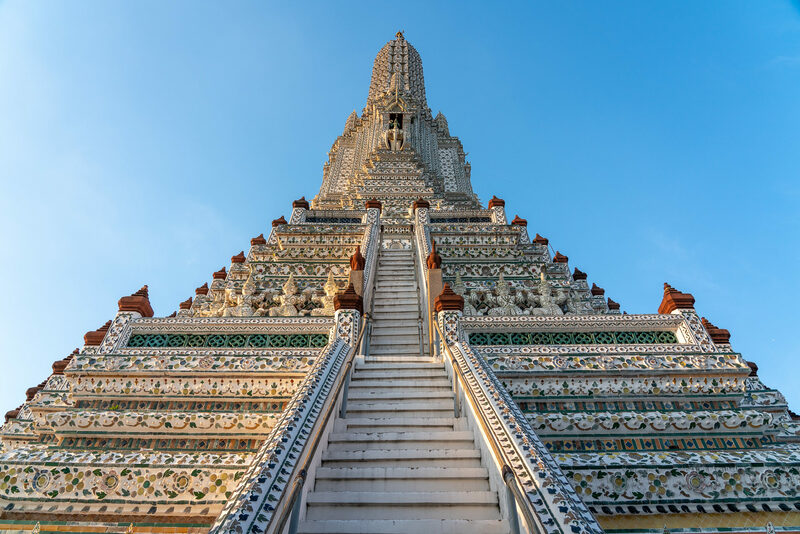 Sure, you can go and pay for a ticket to visit the Emerald Buddha or other ‘must-see’ location, but the chances are that you are spiritually unprepared for this. You can take some pictures of the colorful temples and take a selfie with the sculpture of Yaksha, but will you know that they are guardian warriors who keep away evil spirits? 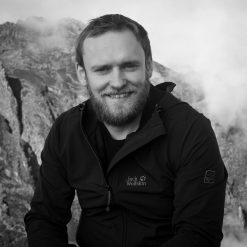 There are lot more resources on the Internet if you have time, but these videos are good starting point in my opinion. Flying from UK is relatively painless experience with just couple of small tips to keep in mind. Our flight had a connection in Dubai which is a huge airport. There are buses taking passengers from gates to planes and this takes really long time. Make sure you head to your gate immediately even if your waiting time is couple of hours. After arriving in Suvarnabhumi Airport head directly to passport control and don’t queue at the ‘Visa on Arrival’ location (which looks like a passport control you should use). British passport holders arriving by air or land can enter Thailand for 30 days without a visa – this is known as a visa exemption. Next thing is travelling to your hotel. As suggested in another blog post we decided to stay at the hotel called iSanook. The hotel is very clean and offers very good breakfast. You can also enjoy the pool after a long day of sightseeing. The location is also very good and you get a free hourly transport (awesome-crazy Tuk-Tuk or a minibus) from the hotel to a pre-defined location. This is where it can take you. Note that this is one way transport and you need to go back to the hotel on your own. Almost every single itinerary I found on the Internet tells you to stay in Bangkok as little as possible. Some even say to avoid it completely and jump on a connecting flight to the islands immediately. 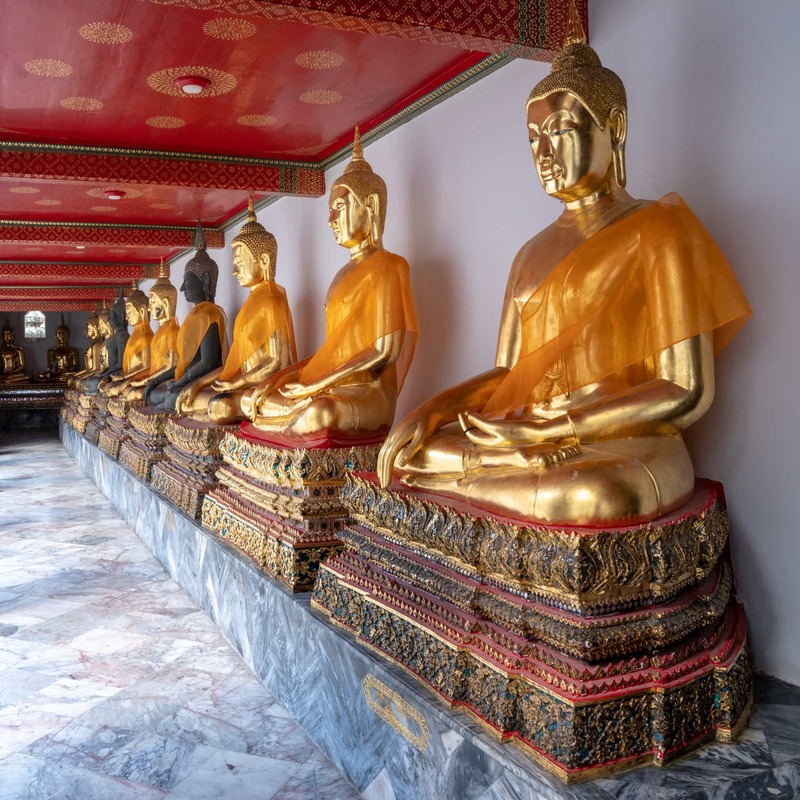 In my opinion staying in Bangkok for less than at least 4-5 days won’t allow you enough time to truly experience the Thai capital and its culture. We stayed in Bangkok only four days in total and it really felt like we’re leaving behind lots of undiscovered sights and experiences hidden within the city. You need a whole day for this one. It will be hot and challenging day, but trust me, it’s worth it. I recommend starting the day at 8am to allow enough time for the whole plan. 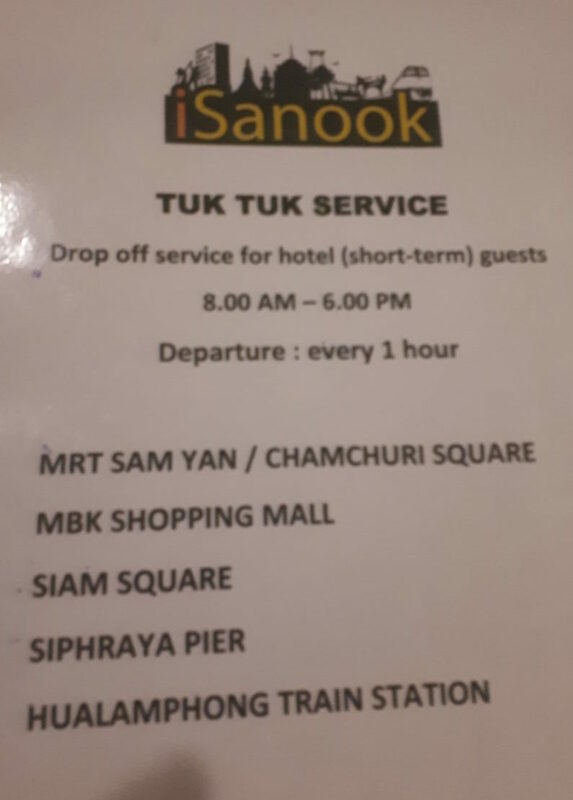 From iSanook you can take a Tuk-Tuk (the one provided by the hotel free of charge) to the Siphraya Pier and from there take a boat to the Grand Palace. The boat ticket costs 30 Baht one way and you can buy at the pier. The first practical advice here is to take appropriate clothing before entering the temples. There are few guards at the gate inspecting everybody’s appearance and if you’re lacking enough cover then they will direct you to the nearby shop where you can buy scarves, trousers and T-shirts. For example, the price for trousers is 200 Baht. Men can’t enter wearing shorts, only long pants are allowed. The second thing is to make sure that you have plenty of water, but this is pretty obvious. There are few drinking water taps within the area so refilling the same bottle will do the job. 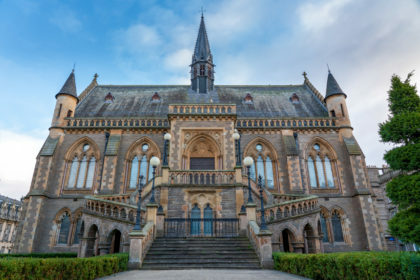 Once you’re in I recommend using the section from the Lonely Planet guide recommended earlier in this post. 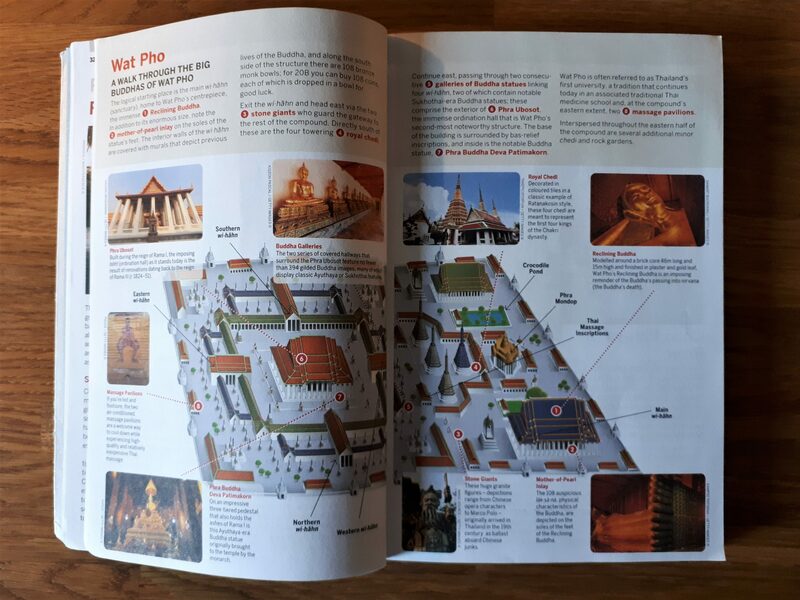 The page is dedicated to the Grand Palace and explains everything nicely. There is also a map of the site in the book which is particularly useful. The final part of the day we spent at Wat Arun Ratchawararam located just across the Chao Phraya River. The ferry cost to get across the river is 10 Baht. It’s a majestic temple best visited at the end of the day just before sunset. The entrance fee is 50 Baht and the same dress code applies. Bangkok is a well established home for variety of markets dotted in many places of the city. There are plenty of food markets where you can spend a day trying amazing Thai food and I don’t need to recommend any of that here, but there are some other special markets worth visiting. One of them is the Amulet Market which I recommend visiting. 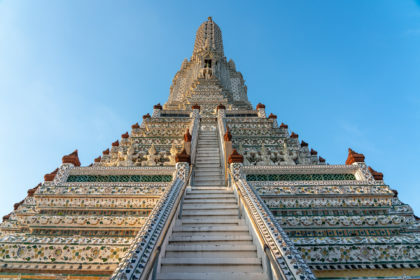 It’s a short walk from the Grand Palace and you should reserve at least one hour to explore it. There are thousands of amulets you can buy there and some of them are inexpensive and seem to be very well made. We thought that’s a good place to buy a couple of souvenirs instead of usual tourist shops selling plasticky magnets. You can also watch amulets being made here which is really cool. Another market we visited on the same day was the Flower Market. It’s another place to spend at least one hour unless you are an enthusiast botanist then reserve the whole day! We’ve never seen a market specifically dedicated to flowers. Many of the stands offered pre-made compositions with religious meaning. We haven’t seen many tourists there which made the place feel very authentic. It was also interesting to pay attention to how the market operates behind the scenes where flowers are packed and unloaded. The final part of the day we spent in Chinatown. It was interesting to wander around narrow streets packed with lots of vendors and busy traders running around with carts full of anything you can only imagine. There is nothing particular to see there, but the point here is to immerse yourself into the busy life of sois (side streets) in Bangkok’s Chinatown. Street photographers will never want to leave that place! 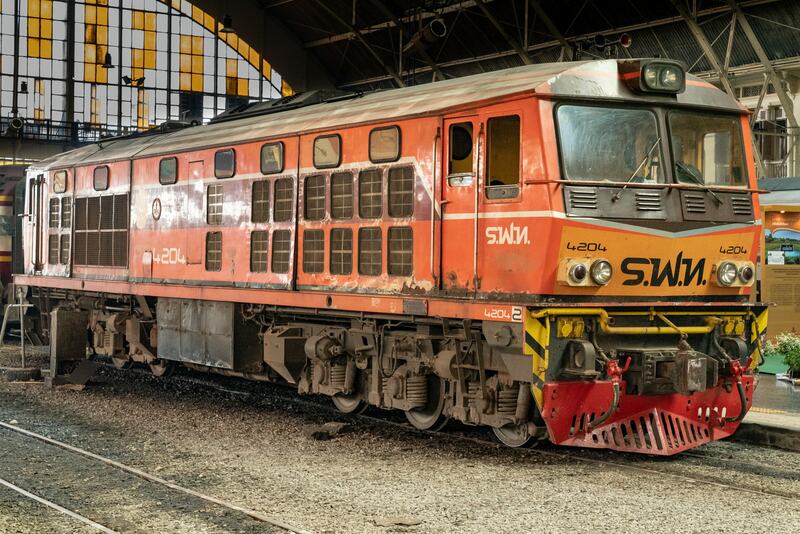 We decided to travel from Bangkok to Ayutthaya on a train from the Hua Lamphong Train Station. Again, you have a free transport there from iSanook hotel every hour. We took the ordinary train which takes about two hours and the ticket costs 15 baht. There are Express trains that take one hour only. Keep in mind though that this journey is not about comfort, but about the experience of travelling in 3rd class in Thailand offers you. 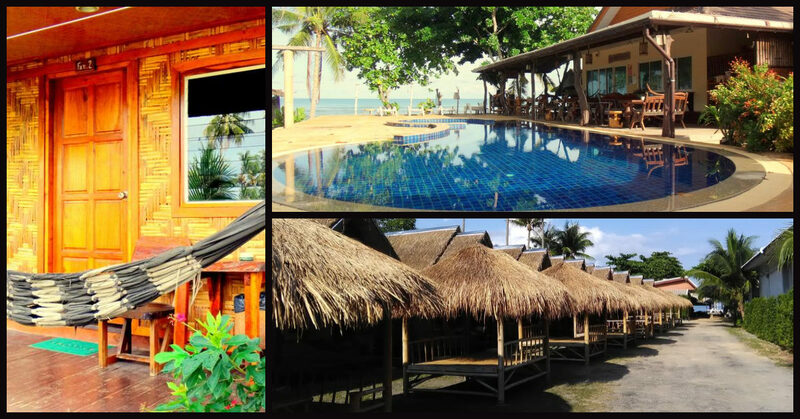 It’s the perfect place for you to immerse yourself in true Thai way of living without any pressure because you are a tourist. In case you get hungry, there lots of traders walking back and forth along the carriages offering food and drink. 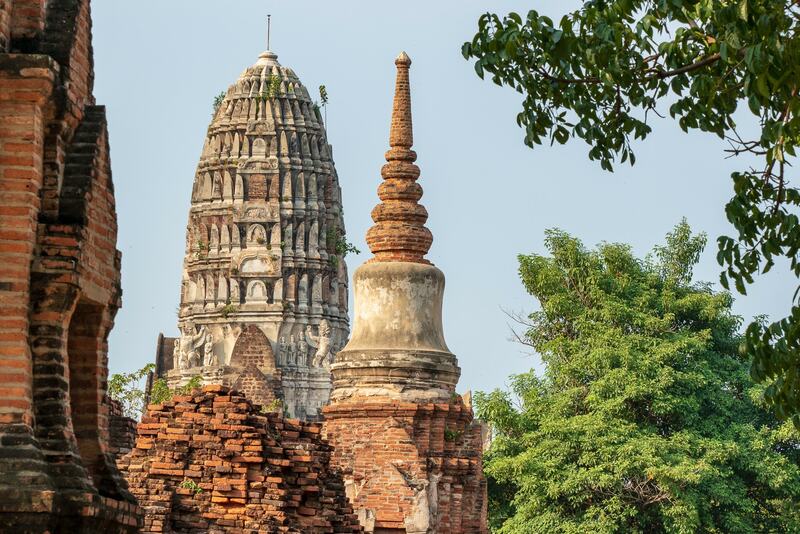 Upon arriving at Ayutthaya you’ll quickly realise that spending just one day there is not enough. This used to be former Thai capital until 1767 and the amount of temples within the Historical Park is simply overwhelming and each of them deserves time. There is also a night market right next to the Historical Park which we thought was very authentic in terms of the atmosphere and kinds of food you can try there. We hired two bicycles from our hotel which turned out to be a very efficient way of moving between locations as they are situated quite close to each other, but sometimes too far away for walking. Moreover, cycling amongst the temples dated back to the 14th century added a huge fun factor to the whole visit at the Historical Park. Chiang Mai being the capital of the north is a city full of temples, historical parks, elephant sanctuaries and foreigners living there too. 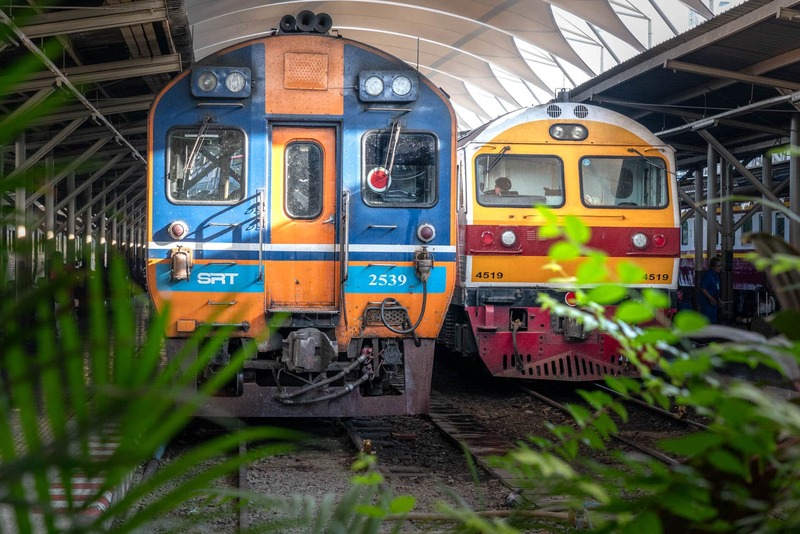 From Aytthaya you can take a night train to Chiang Mai, but we decided to go there on one of many AirAsia flights from Don Mueang airport in Bangkok. 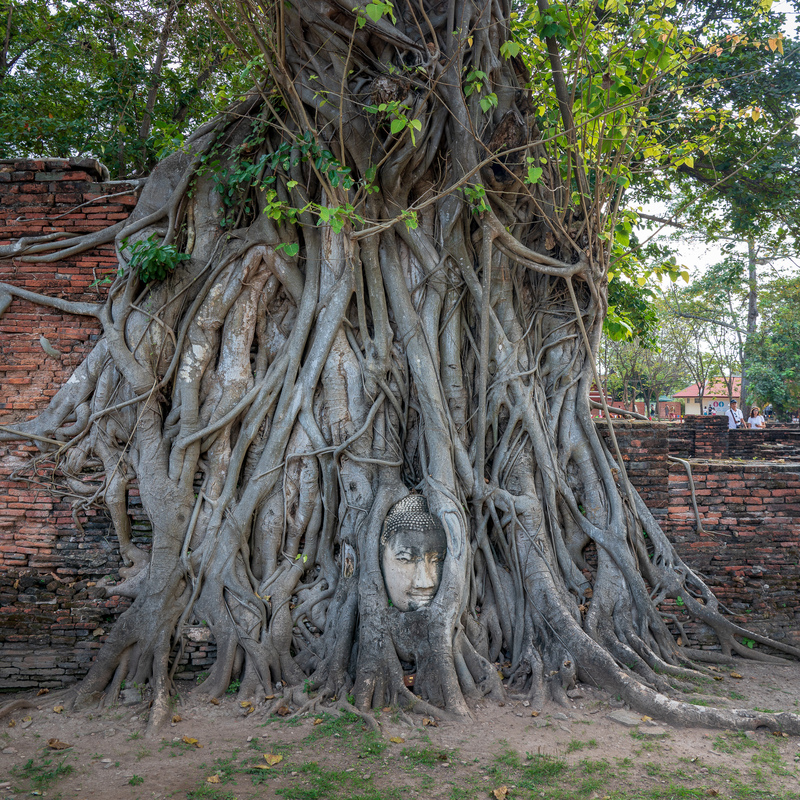 From Ayutthaya there is a minibus service which costs 300 Baht and departs every 30 minutes. Just tell the driver that you’re going to the airport and he’ll drop you off literally by the entrance. The airport is located next to the motorway where they drop you off. Just make sure you’re ready to disembark quickly. The flight takes one hour and upon leaving the airport you find yourself in a northern part of Thailand. If you want to save some cash there is new bus service connecting the airport with most parts of the old town and it only costs 20 Baht per ride which is definitely the cheapest transportation in town. You just need to walk few meters forward passing by the taxi parking and find the Yellow bus line stop. We stayed at a very conveniently located and clean Yindee Stylish Guesthouse. Once more you’ll need a full day for this. We decided to walk from location to another within the old town, but if I did this again I’d hire a bicycle or a scooter. The morning started with having a breakfast in one of outdoor restaurants on the same street as the Yindee Stylish Guesthouse. They have a good selection of food and serve a good coffee unlike many places that just use instant coffee. After breakfast we started exploring the city’s beautiful temples. The first one to visit was Wat Phra Singh. It’s a free entrance for everyone and it’s good to visit early in the morning when you can take advantage of many shady and peaceful corners within the complex. The atmosphere of the temple is very serene and you can also hear monks chanting which add to the great atmosphere. The next temple we visited was Wat Chedi Luang and it’s arguably the biggest one in the area. Although the building was damaged in few places by an earthquake in 1545 and during the Burmese invasion in 1775 some many of its beautiful features have been preserved including the elephant sculptures surrounding the central part. Walk around the temple and have a good look at all the details. The next destination was Wat Phantao, a very special temple with humble appearance and made almost entirely from wood. Following that we visited the Wat Inthakin which is a less visited temple in the heart of the old town. The temple comprises of two chedis and the monks living quarters. This was a full day trip to the most iconic location near Chiang Mai. Although you can take a taxi or one of the Songtaew (red trucks) that operate as shared taxis, we decided to hire a scooter for more freedom and flexibility. The company we used is called POP Bike Rental and we hired Honda PCX 150 from them. They don’t ask to keep your passport (you should never do this) and instead they require a 5000 Baht deposit and a daily rate is 500 Baht. Just make sure to take pictures of the bike before taking it. The winded and hilly road to Doi Suthep was not a problem for PCX 150 carrying two people, but it could be more challenging for a smaller 125cc bike which is good for one person and costs 300 Baht if you’re travelling solo. Once you arrive at Doi Suthep be prepared for hundreds of steps up to the temples. The entrance costs 150 Baht and gives you admission to a temple that is one of the most holy Buddhist sites in Thailand. Once you’ve reached the top there’s plenty to see at the temple. Ceremonial parasols were added at the four corners of the Chedi in the 16th century and pilgrims make merit by sticking gold leaf to the parasol shafts. 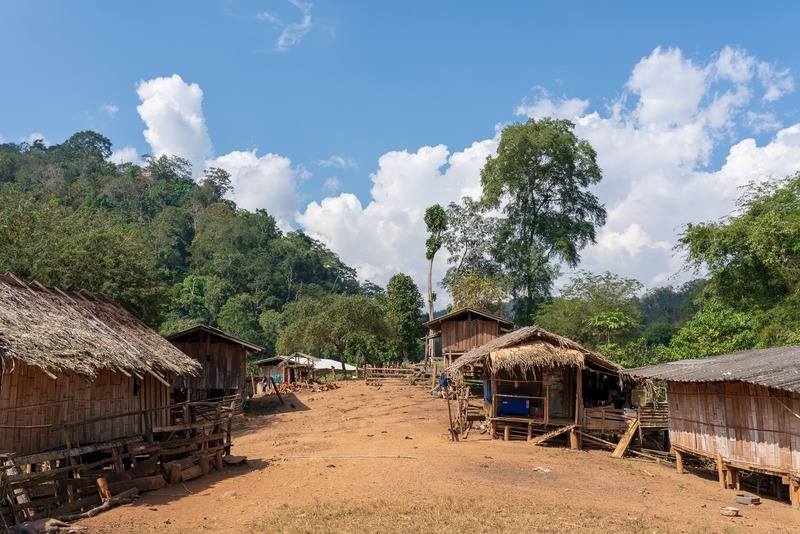 The final destination of the day was Doi Pui Hmong tribal village. A short ride further into the hills take you this peaceful village where you can enjoy the market and observe locals doing their daily tasks. For the last day in Chiang Mai we decided to go for a trekking tour in the jungle. Our guide, from the company called Trekking with Piroon, Song, drove us outside the city. The first stop was at a market where our guide showed us some snake meat for sale. After that the next stop was to watch elephants. Our guide told us that these animals are retired from farming work and are not used for riding anymore. One of our concerns in visiting elephants was that the animals could be harmed to be used in the tourist industry. As we didn’t want to witness and support that, we were happy to see that the animals we visited were treated in a non cruel and stress free way. After feeding and bathing the elephants, we were driven to a spot in the jungle where we started a trek until a small village, where we had lunch before descending the river in a bamboo raft. Overall this was a really amazing day and Trekking with Piroon is worth recommending to anyone who wants to get away from the city for a day. 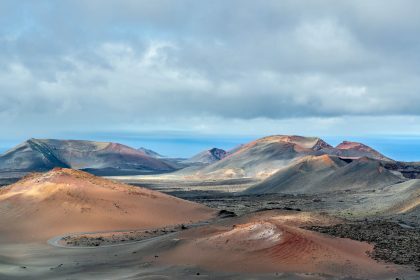 They also offer treks which are several days long and include camping, if you have more time. This day was mostly dedicated to travel to Krabi provice. We took another flight with AirAsia to Krabi Airport. We stayed at the 8Icon Hotel in Ao Nang. The hotel has been built and maintained to an extremely high standard. 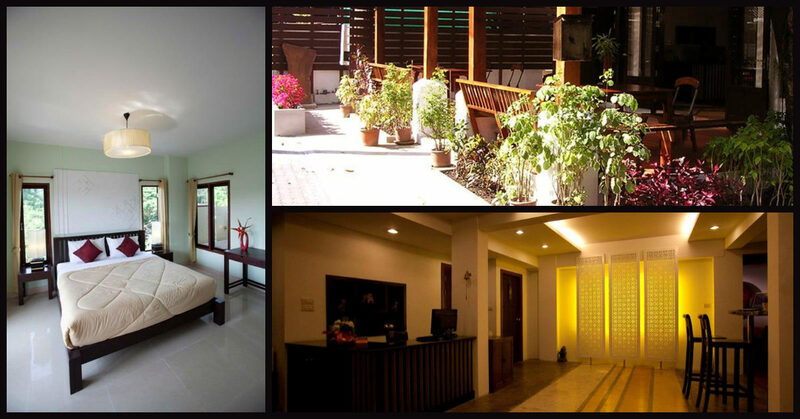 It’s also located conveniently not far away from the beach and shops. Unfortunately Ao Nang was rather disappointing due to its extremely touristy feel. There was a Night Market next to the hotel, but it lacked authentic feel of the markets seen in Bangkok, Ayutthaya and Chiang Mai. I’d still recommend going to Ao Nang because its strategic location allows easy travel to other islands and well known beaches. This was one of the slower days of the trip, but still packed with interesting experiences. 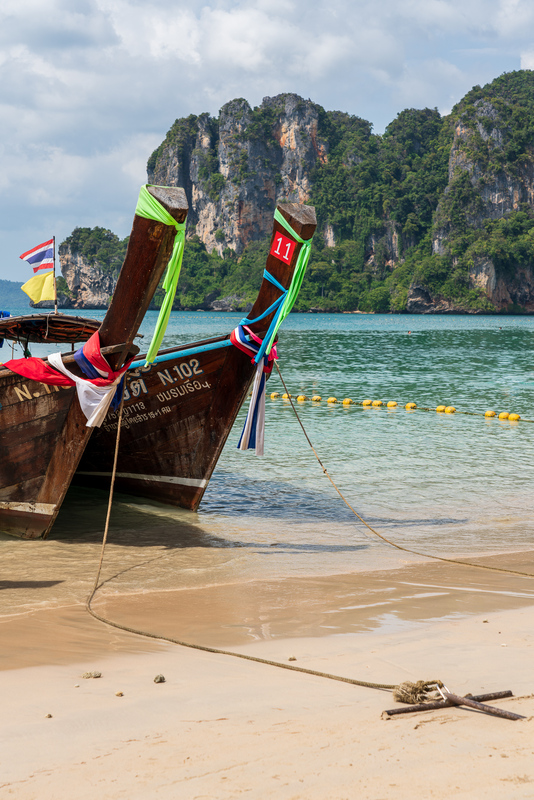 From Ao Nang beach you can catch a Longtail boat which will take you to the iconic Railay Beach for 100 Baht one way. Despite all the opinions found online saying that Railay is always overcrowded and dirty, our experience was excellent. The beach was very clean and sure there was quite a few tourists, but not as many as described in other blogs. 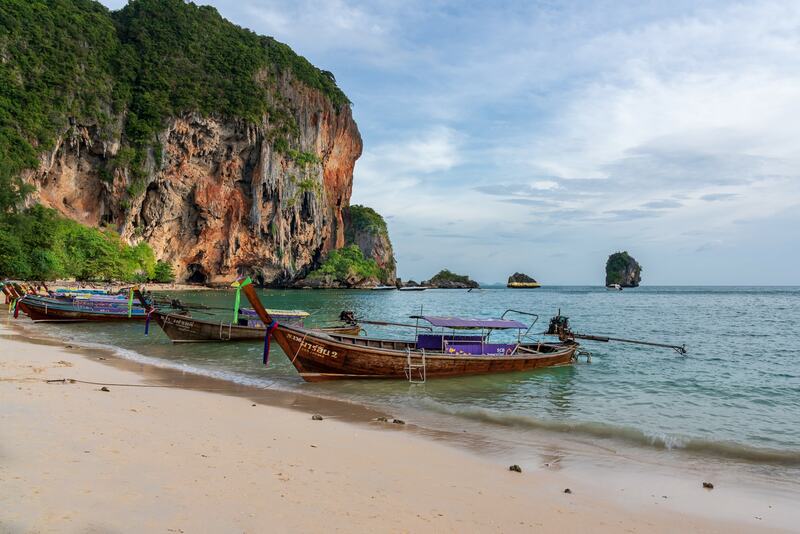 From Railay Beach you can walk to Ao Pra Nang Beach located just few minutes away. In my opinion it’s even more beautiful and photogenic than Railay. 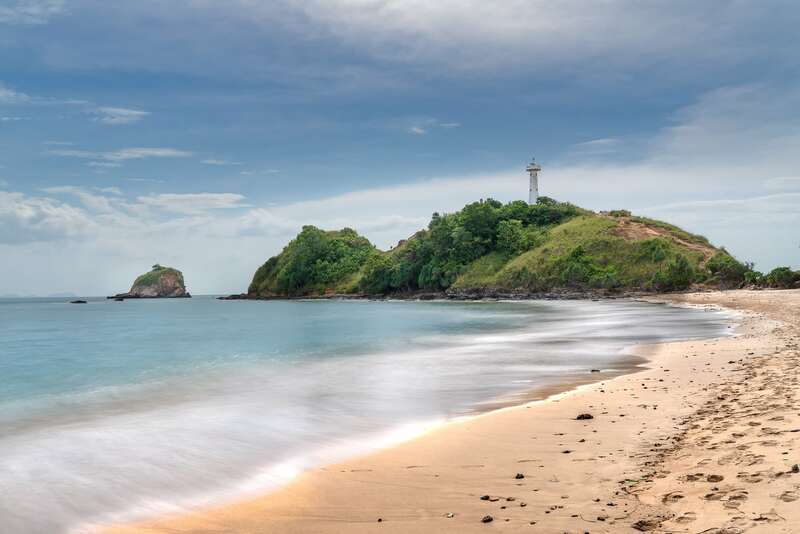 There are two options to get from Ao Nang to Ko Lanta. By minibus or by ferry. Minibus costs 350 Baht and ferry is 500 Baht. You can buy tickets for either in one of many tourist information boots in Ao Nang. Minibus service will pick you up from your hotel and deliver to a destination hotel in Ko Lanta, while ferry service picks you up from hotel and only drops you off at Saladan Pier at Ko Lanta from where you need find your way to the hotel. We decided to go with the ferry option and as it provided more fun factor to the whole journey. Upon arriving at Saladan Pier in Ko Lanta you’ll be greeted with masses of taxi and tuk-tuk drivers trying to convince you to use their service. We paid 250 Baht for two people for a shared taxi from Saladan to Klong Khong where our hotel, Lanta New Coconut Bungalow is located. It’s a beachfront accomodation which comprises few detached little houses with hammok and a small terrace each. The cottages are clean and comfortable. The best option to travel around the island is by scooter. These costs between 200-350 Baht per day and can be hired in around almost every corner. One rule to follow is to never leave your passport with the renting company although many of them will ask you to do so. The best idea is to find a hotel which provides scooter hire such as New Coconut. This map shows main attractions on the island. 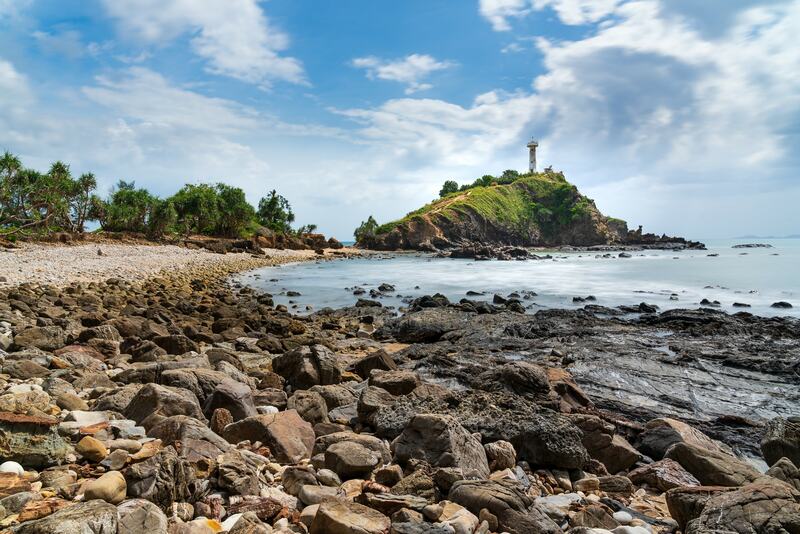 For the first trip I recommend visiting Lanta Old Town and then travelling further south to the Pirates Paradise resort which is located right next to a beautiful rocky beach. Ko Lanta Old town offers lots of seaside restaurants, many of them literally suspended over the water and supported by wooded pillars. Town’s architecture will make you think that you came to a town from American western movies. The Pirates Paradise is a quiet location and there is a great photography spot at the beach. 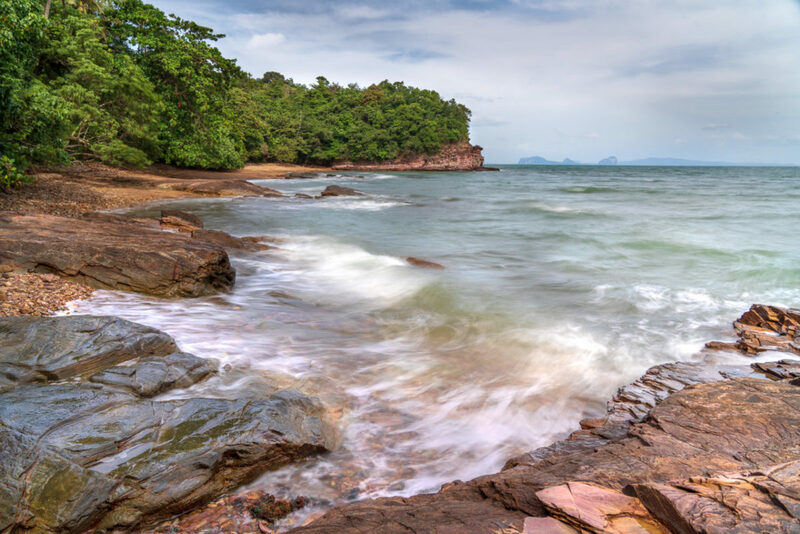 Ko Lanta has one National Park located in the south-west part of the island. Entrance costs 200 Baht and in return you get access to a iconic photographic location with a lighthouse and beautiful beach. There is also a circular nature trail if you feel fit enough to climb one of the hills here. This a very popular longtail boat tour which takes you to a couple of nearby islands where you can do snorkelling (they provide equipment) and enjoy a buffet lunch on the beach. The main attraction is the Emerald Cave on Koh Mook reachable only via a dark passage under the cliffs. The whole experience costs 1000 Baht and they will pick you up and drop off at the hotel. The boat stops at Koh Maa and Chuek for snorkeling, then you are served lunch at the beach of Koh Ngai. You can book a minibus to the Krabi Airport from which will pick you up from any hotel in Ko Lanta. From Klong Khong it takes two hours to reach the airport and the service costs 400 Baht. AirAsia flight from Krabi to Bangkok takes about two hours. From the Don Mueang airport we took a bus to Chatuchak market, one of the most famous in Bangkok. Unfortunately some of the prices were quite high so we just wandered around immersing ourselves in the chaos of one of the biggest markets in the city. If you you are looking for a desert then you should try a coconut ice-cream, it costs 50 Baht, but it’s the best ice-cream ever! This location is fantastic for the last day in Thailand. 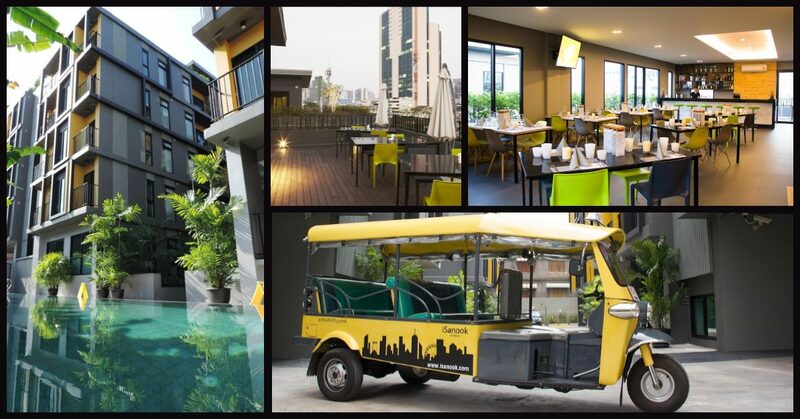 It let’s you experience nature and modern feel of Bangkok in one location. An inner city oasis which reminded me of Central Park in NYC. From there we got a City Train to the airport.